At Hispack 2012, Motovario will be presenting its range of coaxial gear reduction units series H, bevel helical units series B, shaft-mounted helical units series S, electric motors series M, speed variators series M and motoinverter series Smartdrive, in addition to the models NMRV, NMRV Power and SW of the VSF series. The Spanish event, which every year attracts around 45,000 visitors from all over the world, will be staged between 15 - 18 May 2012 in the Barcelona Exhibition Centre. 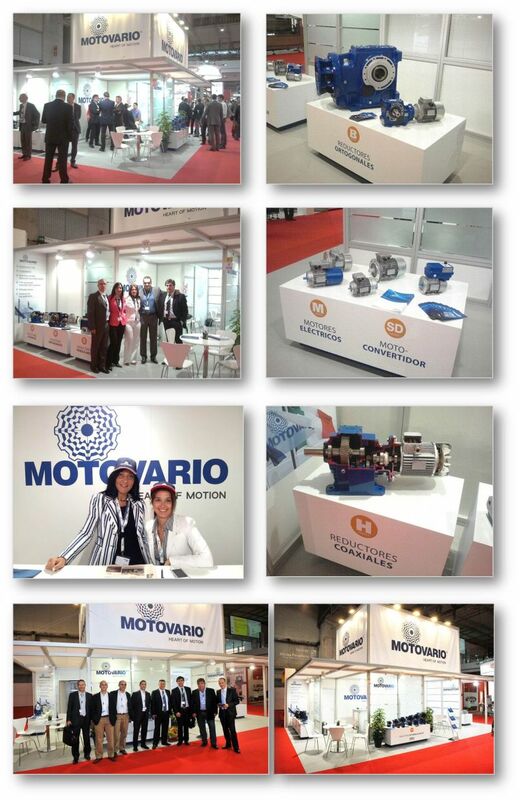 On 17 May 2012, during the International Open Days (IOD), i.e., the days dedicated to updating and training, Motovario invites its customers to take part in the event which aims at revealing for the first time the latest technological solutions developed in the field of transmission units. During the course of the IOD, the sales and marketing director, Claudio Peleson, will introduce the new company video illustrating the cutting-edge technology produced by the Italian company, while all the new products will be presented by the parent-company team along with the colleagues of the Spanish subsidiary. What is more, the public will receive first-hand news on the technology of the new gear reduction units for corrosive environments NMRX/SWX and for the food industry SWFX. The products will be on show at stand E-555, where visitors can go to learn more about these technologies and appreciate how Motovario innovation forms part of a major international context like Hispack, an event where the latest design solutions, new materials, packaging production machinery, bottling lines, labelling units and intermediate packaging process machinery for B2B and B2C can all be seen: from food to pharmaceutics, from chemicals to cosmetics.